The Arizona state legislature has to put its stamp of approval on a “Drought Contingency Plan” by tomorrow or it risks the federal government stepping in. Farms, cities, tribes, and water agencies negotiated the plan to reduce the risk of Lake Mead falling to catastrophically low levels. It outlines how water users will share Colorado River shortages, but those agreements are contentious. KNAU’s Melissa Sevigny spoke about the plan with Arizona State University water policy expert Sarah Porter. This plan is about hammering about agreements between the seven states in the Colorado River Basin and Mexico but also agreements within Arizona. Yeah. 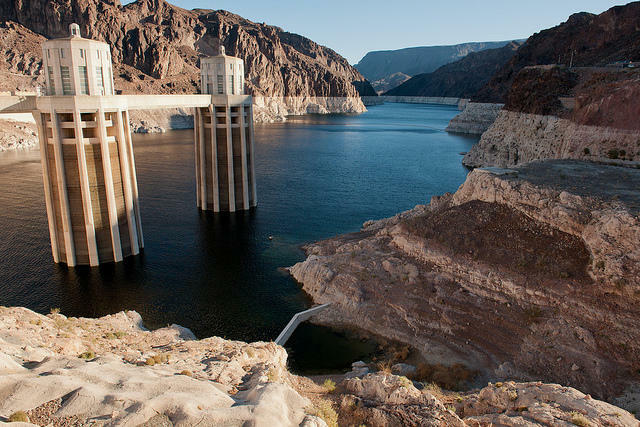 Writ large, the Drought Contingency Plan with the rules for saving water in Lake Mead and the schedule of cuts, that’s been agreed upon in principal by the Basin States and Mexico. But how Arizona would share the cuts that Arizona would take is what has been the subject of a lot of negotiation this summer and fall. That’s been the hard part for us. And part of the reason it’s the hard part is that Arizona takes the lion’s share of the cuts. Right, and that’s because we’re bottom of the list for priority. To be specific, Arizona has a lot of different Colorado River users… it’s really the central Arizona and southern Arizona—the CAP customers—that have junior priority. Yes, that’s the canal that carries Colorado River water across the state to users in Phoenix, Pinal County, and the Tucson area. Tell me more about that. What’s happening with negotiations between users in cities, farms, tribes: why is this so difficult for Arizona to work out? It’s difficult because water is a scare resource in Arizona. It’s very hard for large water users to go without water. But to make it even more complicated, within the CAP system there are priorities….It’s really difficult, with the lowest priority users being the Pinal County ag users, they have been staring in the face of taking all of the cuts. That’s, from their perspective, not desirable at all. So they have asked to be mitigated, to have some kind of relief from having their water cut across the board according to priority. So where is the Drought Contingency Process right now in this legislative process? I think it’s behind some closed doors. We have a lot of freshman legislators, who may have not had much contact with water policy, so we’re asking a lot of our lawmakers. The plan has been more or less provided to them, and they’ve had some question and answer sessions to help them get up to speed. And the U.S. Bureau of Reclamation has given Arizona a deadline of January 31 to do that; what happens if we miss the deadline? Technically what happens the Bureau will give the states 30 days to submit their suggestions about how to handle Lake Mead, and water deliveries, and then it would be up to the Bureau of Reclamation to decide how to proceed. It would be best if we didn’t go there. We don’t know for sure what would happen. It would be ideal if we could get the DCP passed before that. So when this is all over, I imagine they’ll be still negotiations that need to be done and work that needs to be done. I guess we never solve our water problems in Arizona. Sarah Porter, thanks so much for speaking with me today. It’s been a pleasure, thanks. Western states are watching with interest as Arizona comes up against a deadline to approve a plan to ensure a key reservoir doesn't become unusable for the farmers, cities, tribes and developers that depend on it. Representatives of the seven Colorado River Basin states meet today at a conference in Las Vegas to discuss the details of a long-awaited plan for dealing with drought. Cities, farms, and tribal nations are negotiating voluntary cutbacks in water use to reduce the risk of Lake Mead falling to catastrophically low levels.  KNAU’s Melissa Sevigny spoke with one of the conference moderators, John Fleck, a water expert from the University of New Mexico, about why this “Drought Contingency Plan” is needed. Climate change has already begun to harm communities in the Southwest with warmer temperatures, bigger wildfires, and diminishing water supplies. Indigenous communities are especially at risk. That’s one conclusion of the Fourth National Climate Assessment, published by the federal government last month. More than 300 experts contributed to the report, including Northern Arizona University forester Nikki Cooley, a member of the Navajo Nation. She spoke with KNAU’s Melissa Sevigny.